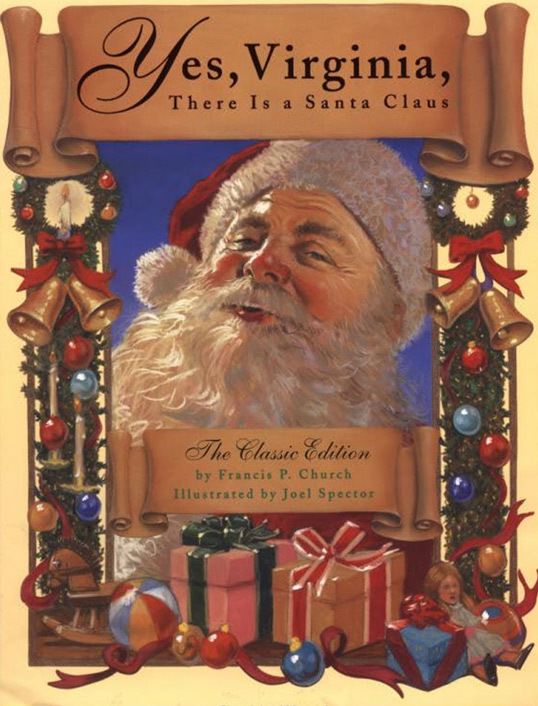 The Bluegrass Special | December 2011 | Is There A Santa Claus? 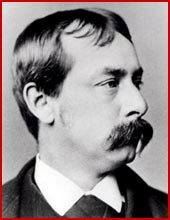 In the September 21, 1897 edition of the New York Sun newspaper, editor Francis Pharcellus Church answered a question posed by an eight-year-old resident of the city’s upper west side, Virginia O’Hanlon: “Is there a Santa Claus?” A former Civil War correspondent who specialized in religious and controversial issues at The Sun, Mr. Church was inspired to respond with the most famous newspaper editorial in American history. 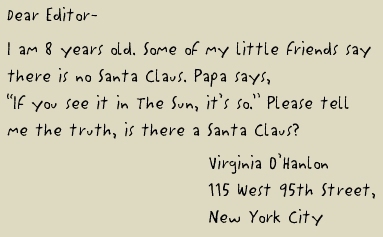 In it, the editor went beyond the child’s simple query to uphold the faith that sustains life, confirming that “Yes, Virginia, there is a Santa Claus. He exists as certainly as love and generosity and devotion exist, and you know that they abound and give to your life its highest beauty and joy.” From that answer came an all-purpose cultural catchphrase. The real Virginia—Mrs. Laura Virginia O’Hanlon Douglas—reads Francis P. Church’s response to her 1897 letter to the New York Sun asking, ‘Is there a Santa Claus?’ This video was shot when Mrs. Douglas was residing in a nursing home in Valatie, NY. 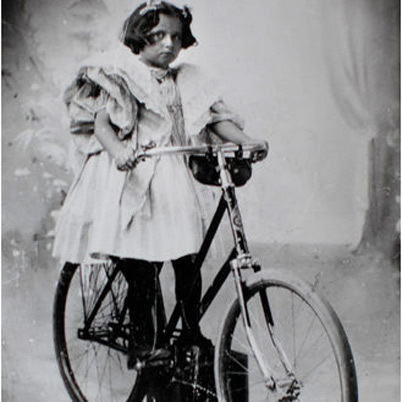 Virginia O’Hanlon’s famous correspondence followed her throughout her life. It was published in The New York Sun every year until the paper folded in 1949 (the paper's name was revived years later and is currently in print) as well as countless other publications throughout the years. In 1959, O'Hanlon moved to North Chatham, New York. She was the subject of a tribute by the North Chatham United Methodist Church in 1966. At the celebration, O'Hanlon read her letter and Church's response to an enthusiastic crowd. Her grandson, James Temple, told the The New York Sun in 2004 that she did not think she think that she had done anything special. He said that O'Hanlon told him, "All I did was ask the question . . . Mr. Church's editorial was so beautiful . . . It was Mr. Church who did something wonderful." Laura Virginia O'Hanlon Douglas died on May 13, 1971.